At a meeting with the Presidential Council for Human Rights, Dmitry Medvedev urged members to act not only on prominent criminal cases, but also on ordinary cases where there are doubts concerning the suspects’ guilt. “Very often we have gone back to the high-profile but isolated cases, like the Khodorkovsky or Magnitsky criminal cases. 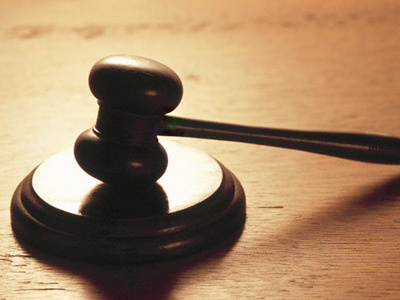 In some occasions this was justified, but in general this gave the impression that the council is only interested in high-resonance, well-spun cases,” the president said. 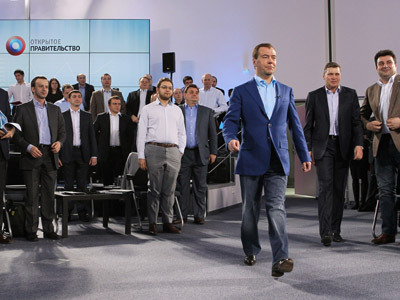 Medvedev went on to say that the number of suspects and convicts whose guilt is in question is in fact much higher. He said he had received letters, including messages from convicts asking why rights activists are only interested in specific well-known cases. They asked why no one was dealing with ordinary people who think their rights were infringed by law enforcement. 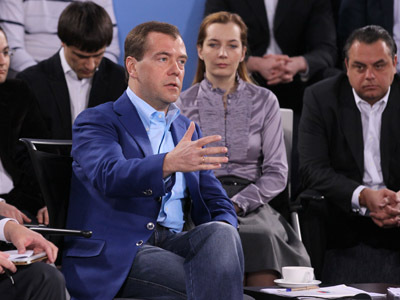 Medvedev also advised the activists and experts of the council not to try to solve all problems at once. He suggested that the council hold separate sessions on the most pressing questions, like the human rights situation in the Caucasus, or environmental problems. The president thanked council members for drawing his attention to legislative initiatives that could be amended and changed. Medvedev noted that though he personally had not agreed with all the suggestions, it was still useful for him and other state officials to be informed. He added that the state mechanism was a clumsy machine that did not always react to good suggestions in a timely manner, but that the Human Rights Council did a good job in speeding up this process. 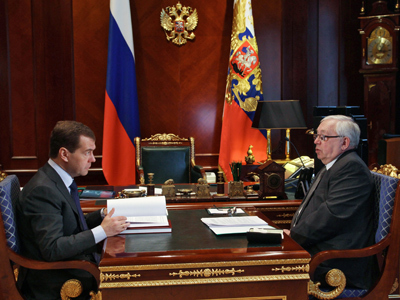 Medvedev gave an example of its good work in canceling the three-year trial period for newly appointed judges – a move credited with boosting court independence and objectivity. The president noted, however, that there were a number of suggestions that could not be realized at present, without specifying them.